I don’t know if it’s all of this talk about extreme temperatures, the polar vortex phenomenon or just an early itch for spring to arrive. Whatever it is, a current student of mine became interested in picnics and in turn I was inspired to find a new way to motivate him through challenging homework sessions in the evenings. Print the files using a color printer and cut out each image. Laminate them separately and then cut them out of the lamination sheets. Attach the loop side of Velcro dots to the individual images and either 5 or 10 Velcro dots with the hook side onto the picnic blanket depending on which number is most appropriate for your student. 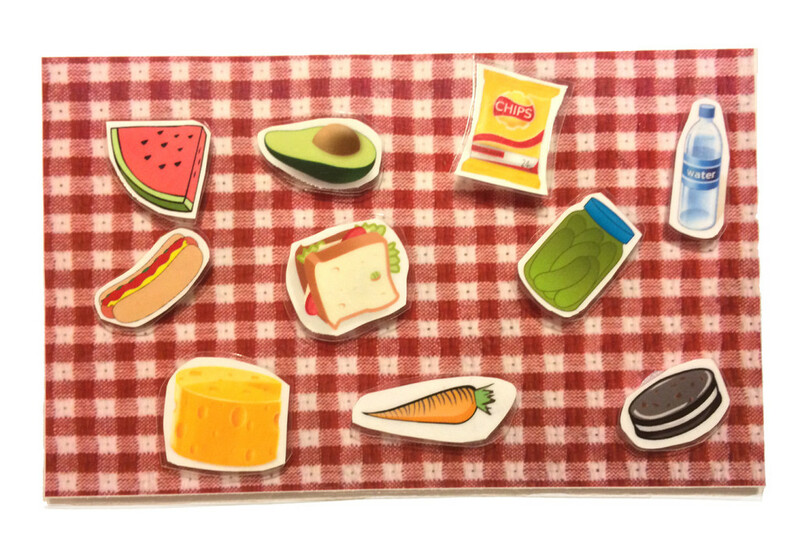 If the learner needs a visual reminder of what they are working for (backup reinforcer) you could easily print up child specific reinforcers to be attached to the picnic basket as a reminder. If your learner does not require a visual reminder of the backup reinforcer you could easily adhere the laminated picnic basket to the backside of the picnic basket leaving an opening at the top and use it as a storage pocket for any tokens you aren’t using. *Note: This is the first in a series of fun, easy Do It Yourself Token Boards. We hope you’ll stay tuned for the next installment in this series using WIZARDS! Written by: Stacy Asay on January 30, 2014. Last revised by: Different Roads to LearningJanuary 29, 2014. This entry was posted in ABA, Do It Yourself, Reinforcement, Resources and tagged Different Roads to Learning, free download, picnic, token board, Token Boards and Reinforcers, Token Economy, visual supports by Stacy Asay. Bookmark the permalink.